Includes U.S. and Puerto Rico. Major city inset maps, on-page locator map and mileage table. Features national park finder map, scenic routes, interstate maps, elevation shading and statistical data index. Larger scale, easier reading. Includes U.S. and Puerto Rico. Major city inset maps, on-page locator map and mileage table. 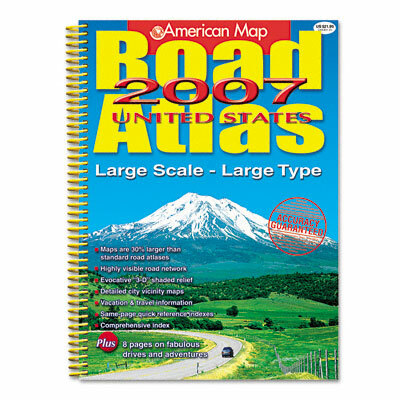 Features national park finder map, scenic routes, interstate maps, elevation shading and statistical data index. Rounded corners, spiral binding.